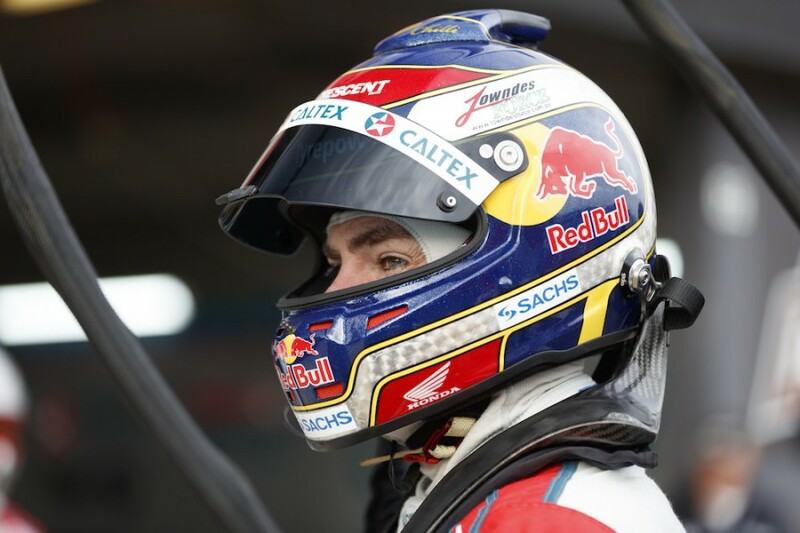 Triple Eight is yet to get to the bottom of a suspected mechanical issue that hurt Craig Lowndes’ Supercheap Auto Bathurst 1000. For the second straight year, the six-time winner endured a lacklustre weekend at Mount Panorama, qualifying 19th before finishing a lap down in 11th place. Lowndes said post-race that “there might have been an issue with the car at the end”, leaving him unable to fight in the closing stages. The car had proven unresponsive to front anti-roll bar changes from mid-race, with something seemingly amiss in the front-end. “We had what we thought was a front roll-bar issue, which turned out not to be the case,” TeamVortex manager Andrew Simpson told Supercars.com. “We’re still going through to see if it’s a damper or something else has come adrift. With a failed damper the most likely suspect, the Bathurst set will not be reused on the Gold Coast. “We’ve got a few sets (of dampers) so we’ll just pull that lot out of the system until we can look into it a bit further,” he added. 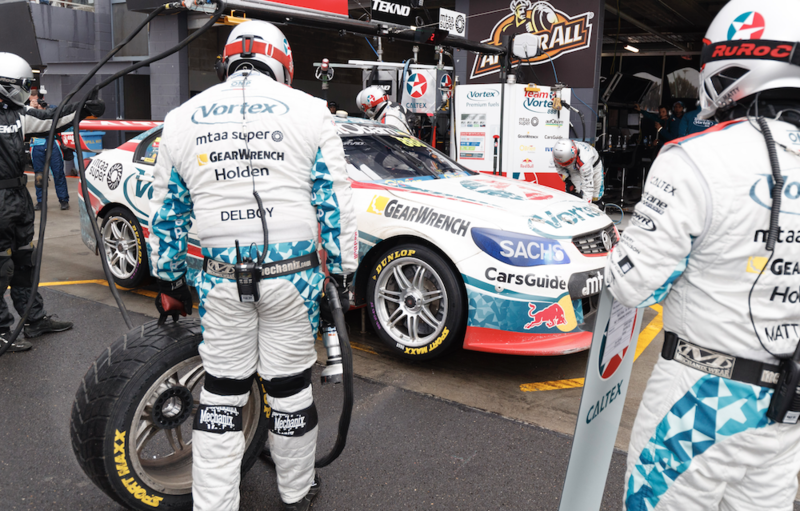 The TeamVortex Holden had been among those to switch from Performance Friction to Project Mu brake pads on Friday following issues with the AP Racing discs in practice. Lowndes and co-driver Steven Richards both struggled to adapt to the different pad, adding a major curveball into the weekend. “With Craig’s muscle reflex the way it is, it’s never suited the Mu and just made life hard for him, and Richo, for that matter,” explained Simpson. 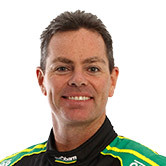 “Then going into a wet race with Craig braking the way it does, the pad is just too grippy for his driving style. “The way that he brakes is a lot of initial pressure and the slippery conditions in the race just made the brake snag easier. “Once you’re up the [escape] road once, it’s hard to come back if you can’t generate tyre temp through brake pressure. Lowndes had earlier speared off under brakes at the Chase in qualifying on a lap that had been looking good for a Shootout berth. Early offs in the race contributed to the car going a lap down, before Richards overtook leader Cameron Waters during a strong stint. The #888 Commodore fell behind again as the race unfolded and was ultimately hurt by the deployment of one of a spate of Safety Cars in the closing stages. “We got our lap back a few times, but the Safety Car not picking up the leader and waving the whole field through after we dragged Craig in really hurt us,” said Simpson. “In hindsight we should have just rolled straight through [pitlane, rather than servicing the car], but we tried to get back out in front of the leader and didn’t make it. 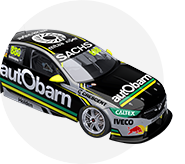 Lowndes sits seventh in the standings, 697 behind new leader Fabian Coulthard.